The five winning projects of the 2018 BIST Ignite Programme will receive 20,000€ each to develop their proposals for novel multidisciplinary research projects. The 2018 BIST Ignite Programme has awarded five projects from within the BIST Community for their multidisciplinarity and high level of scientific excellence. The winners will have eight months to develop their projects, at which point they will be eligible to apply for additional funding through the second phase of the 2018 Ignite Programme. BIST congratulates the winners of the 2018 BIST Ignite Programme and looks forward to following how these projects evolve. 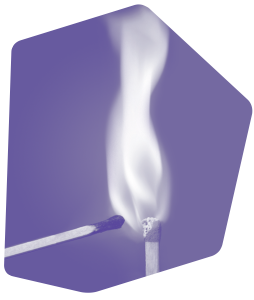 Details including project abstracts and a full list of project members will be posted on the Ignite Programme page shortly. The goals of the BIST Ignite Programme are to promote the initiation of new collaborations among BIST researchers, facilitating the exchange of knowledge among different scientific fields and exploring new approaches to address complex questions. The projects must be aimed at exploring new questions and technological challenges through novel multidisciplinary approaches, exchanging knowledge across disciplines, exposing researchers to multidisciplinary environments, and providing new insights to push the collaboration further. More information can be found here.